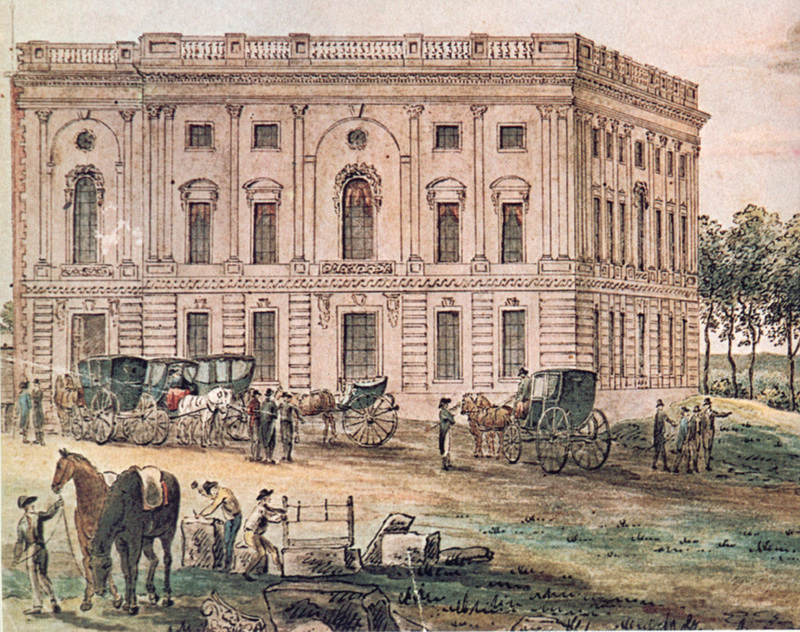 March 4, 1801: The First Inauguration at the Capitol in Washington, D.C. The first inauguration to take place at the Capitol in Washington, D.C., was one of the most significant in our history. Thomas Jefferson’s March 4, 1801 inauguration was the first instance in which the presidency changed political parties. It was also the result of the first time a presidential election was decided by the House of Representatives. Jefferson and Aaron Burr tied in the electoral college vote, and the House did not break the tie in Jefferson’s favor until only two weeks before Inauguration Day. Only one wing of the Capitol, the old Senate wing, had been completed, and the swearing-in ceremony was scheduled for the Senate chamber. Jefferson walked the short distance from his lodgings at Conrad and McMunn’s boarding house on New Jersey Avenue. The outgoing President, John Adams, had left seven horses and two carriages at the White House stables, but Jefferson preferred to walk, escorted by several members of Congress and a crowd of onlookers. He had earlier written to Chief Justice of the United States John Marshall asking him to administer the oath and to see if the oath prescribed in the Constitution was the only one he had to take. Marshall, who also was acting Secretary of State under Adams, replied that he would be happy to administer the oath and that as far as he could determine the oath prescribed by the Constitution was the only one he needed to take. Chief Justice Marshall administered the oath following Jefferson’s inaugural address. The new President, accompanied by Vice President Burr, Chief Justice Marshall, and others walked back to Jefferson’s boarding house, where he received citizens who called on him. At lunch, Jefferson insisted on sitting at his usual spot at the foot of the table, furthest from the warmth of the fireplace. An impromptu, spontaneous procession then escorted Jefferson along Pennsylvania Avenue to the White House.